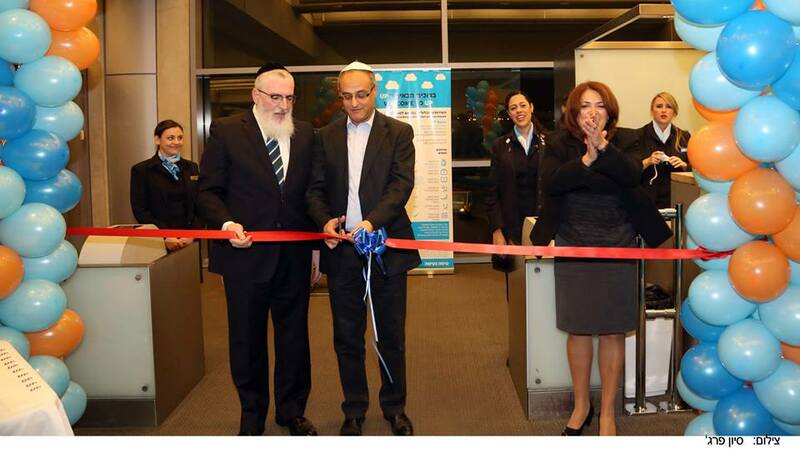 El Al Israel Airlines (Tel Aviv) launched its UP division on March 30. 180,000 tickets were sold before the first flight departed. 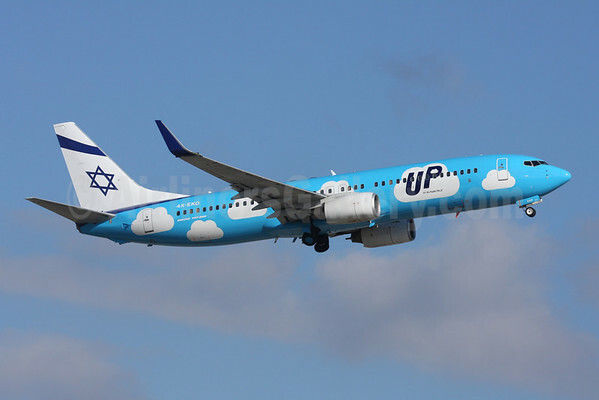 Up launched operations with low-fare service to five Destinations: Berlin, Budapest, Kiev, Prague and Larnaca. Copyright Photo: El Al/UP. The inaugural flight ceremony at the gate before boarding. The inaugural flight to Berlin was piloted by Captain Hovev Ben David, Manager of the 737 fleet, together with First Officer Izhar Katzir (below). The business model combines a low base fare and passengers can add for additional services – such as seating, check-in at the airport, baggage and other services. Economy Class passengers may order meals, for a fee, from an UP menu that will be offered to them during the flight. The menu includes a selection of fresh products: sandwiches, salads, baked goods, muesli, as well as snacks, soft drinks, hot drinks and alcoholic beverages. The fresh food offered for sale, including sandwiches, are Mehadrin kosher with certification provided by the Chief Rabbinate under supervision of Rabbi Moshe Nachshoni. All ingredients have Badatz kashrut certification. In other news, financially El Al reported a full-year net profit of $25.4 million for 2013, reversing the $18 million loss the airline posted ithe previous year. Copyright Photo: Andi Hiltl/AirlinersGallery.com. Boeing 737-86Q 4X-EKO (msn 30287) of UP departs from Zurich. This entry was posted in El Al Israel Airlines, Up and tagged 30287, 4X-EKO, 737, 737-800, 737-86Q, Berlin, Boeing, Boeing 737, Boeing 737-800, El Al Israel Airlines, Up, ZRH, Zurich on April 1, 2014 by Bruce Drum. El Al Israel Airlines (Tel Aviv) has announced it will start a new low-fare subsidiary to compete against the low fare airlines like Ryanair and easyJet that are now flying to Israel. The new subsidiary will be called Up and will be assigned five Boeing 737-800s. Operations are due to be launched on March 30, 2014 from Tel Aviv to Berlin, Budapest, Kiev, Larnaca and Prague according to the Jerusalem Post. 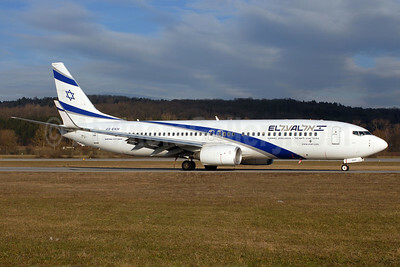 Top Copyright Photo: Rolf Wallner/AirlinersGallery.com (all others by El Al). El Al’s Boeing 737-85P 4X-EKH (msn 35485) taxies at Zurich. This entry was posted in El Al Israel Airlines, Up and tagged 35485, 4XEKH, 737, 737800, 73785P, Boeing, Boeing 737, Boeing 737800, El Al, El Al Israel Airlines, Israel, Tel Aviv, Up, ZRH, Zurich on November 27, 2013 by Bruce Drum.